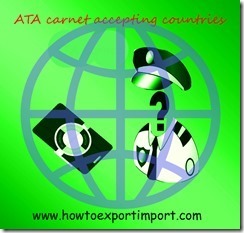 ATA carnet accepting countries. How many countries in ATA carnet. The following 71 countries are members in ATA carnet who accepts ATA carnet. Ukraine, United Arab Emirates, United Kingdom and United States of America.